I've always loved this album too, and for me it's a toss-up between this and Zombie Birdhouse for my favorite post-Stooges release by the Igster. Shame on Rhino or whomever owns the rights for failing to release this on CD with the original cover art. 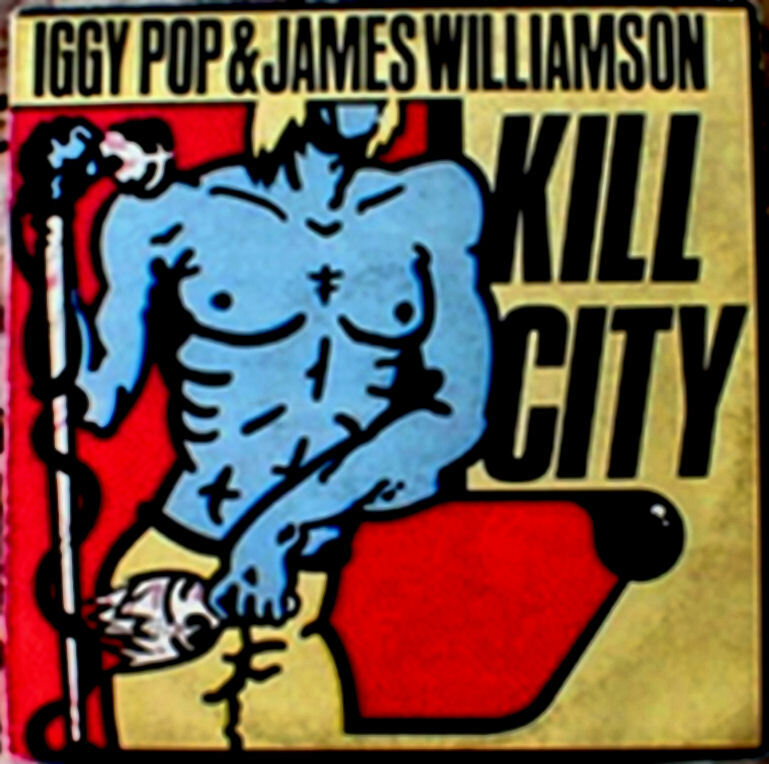 The lame photo of Iggy and James on the official CD version is ridiculous. You & I are definitely on the same page. Zombie Birdhouse is my other favorite post-Stooges Iggy & your thoughts on the cover art are spot on, as the David Allen original cover is classic. Thanks for commenting. it's a great album, killer songs - and when did production values matter where the Igg was concerned? zombie birdhouse is pretty choice, true but i'd hate to pick between that New Values or The Idiot. New Values for the lyrics -- "I wish life could be/Swedish magazines" is Iggy's embodiment of Lester Bangs' observation that Iggy didn't want to be a punk, he wanted to be a man -- but this one for the songs. Although now that I think about it, I think this is really a James Williamson record. I said in my write-up this falls in the no-mans land between the Stooges & Iggy's solo career. Nothing wrong with a Sonny Boy album as far as I'm concerned. Thanks for the comment.